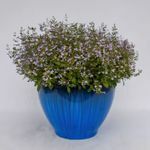 Calamint 'Marvelette Blue'. 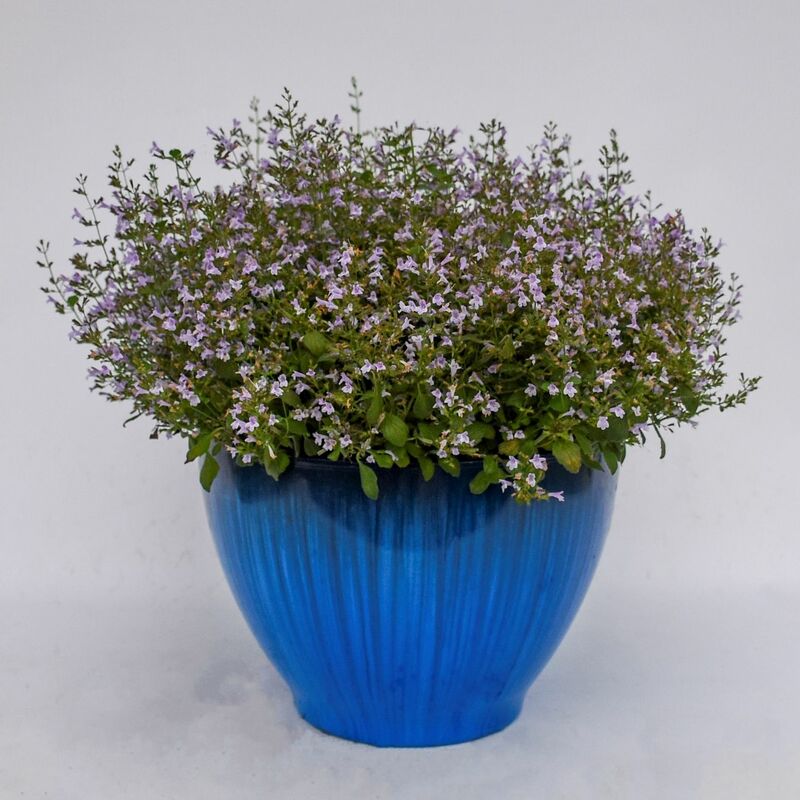 An award-winning, first year flowering, compact herb. Early blooming, blue-purple flowers re-bloom all season. It's compact and uniform in growth. Drought tolerant once established. The sweet, minty smell will stop you in your tracks. 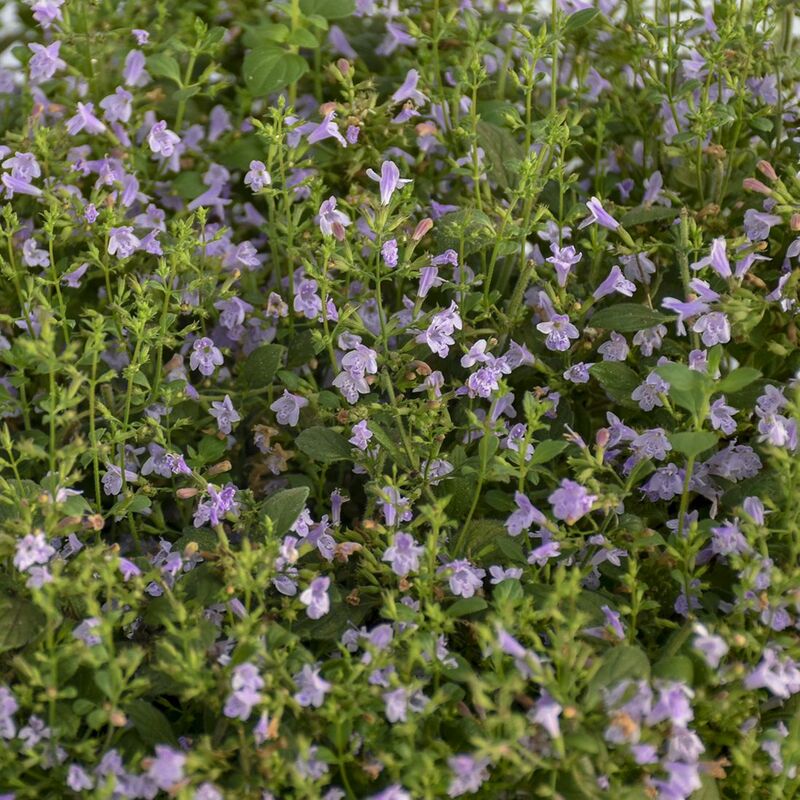 A perfect addition to the herb, butterfly or ornamental garden. Relatively easy to grow and great for containers!